I have been getting my records out, ready for next Wednesday’s event in the Wighton Centre, Dundee. I am getting nervous now, whether the machine will behave itself, and whether it will all run to time OK! I have about half an hour, and so I was thinking that perhaps 6 sides would be OK, though I do think I may overrun if I chat about each track! 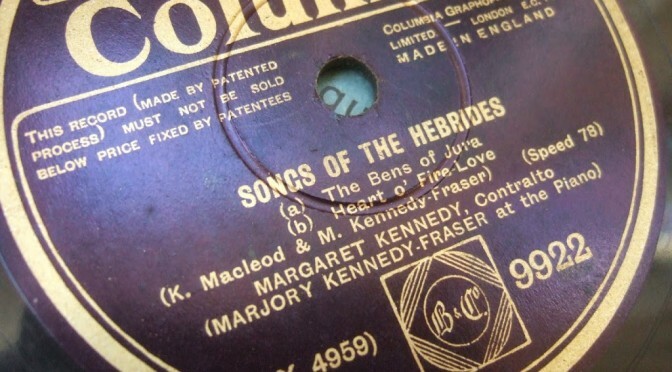 But I do want to include Gaelic song, Scots song, fiddle, pipes and clarsach, so that’s 5 sides instantly, and I have to play the disc with Marjory Kennedy-fraser at the piano. So we’ll see. I am thinking I might also take along some of my other discs just to show off or for people to look at (and perhaps for requests after the event is over!). 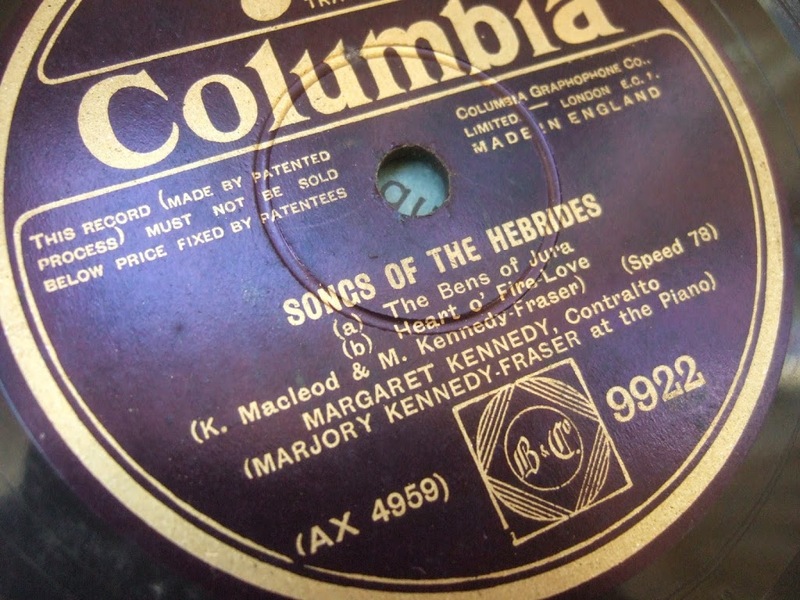 I have another 1914 “Scots song” disc, the Joseph Hislop disc, and one Jimmy Shand (from the ’40s I suppose) and one Harry Lauder which looks like it is from the teens. It’s not a huge collection but it is pretty diverse representation of Scottish music. I thought of also taking the Mabel Dolmetsch discs to show as well, but they are just too fragile to risk travelling with and they can’t be played so I think there is no point. You can get the full description of the event next Wednesday lunchtime on the Friends of Wighton news page.